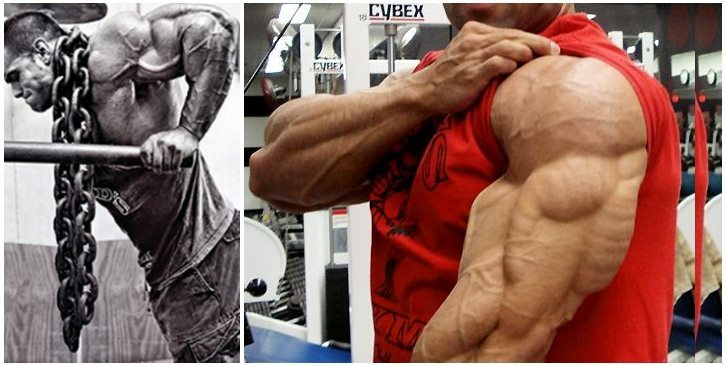 Some guys seem to grow huge guns with the help of a few pushing and pulling movements, while others aren’t that lucky and have to keep challenging their bi’s with frequent training sessions of inhumane intensity. 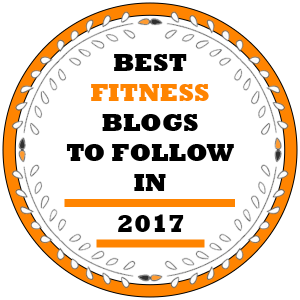 If you’re reading this article, you probably belong to the second group and you’re searching for a way to blast your biceps and build eye-popping mass. Look no further because we know exactly what you need and we got you covered. These two routines will provide your biceps with all the stimulation they need for complete growth and development. It’s going to hurt, but we promise that soon enough you’ll be shopping for bigger T-shirts. Let’s get started! Begin with the standing barbell curl, which is one of the most effective basic exercises for building overall arm strength. Go for 15 reps with good form on the first set. Follow up with 12 reps on the second one, then lower it to 10 on the third and finish with 6 reps at the fourth and final set. No pause between sets. 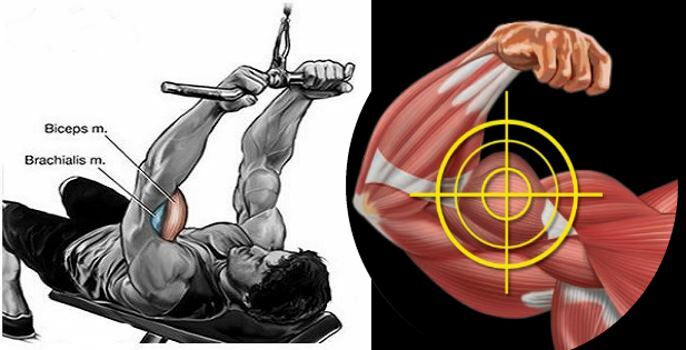 A classic way to place more resistance on the biceps brachii and destroy those stubborn muscle fibers. Make sure that only your forearms move and keep your elbows close to your torso all throughout the movement. Stop when the dumbbells reach shoulder level, then slowly release back to the starting position. Allowing zero rest between sets will help you get the most bang for your buck. This curling variant will do wonders for your wrist strength and the capacity of your front delts to act as stabilizer muscles. To enable maximum isolation, grip the bar with an underhand grip at shoulder width. Squeeze your biceps for a one-count at the top of the movement. Avoid resting between sets. The reverse EZ-bar curl will train your brachialis muscle and make it push the peak of your bicep muscle up higher, while at the same time powerfully training your grip. Use a pronated grip and keep your upper arms stationary so that only the forearms move. 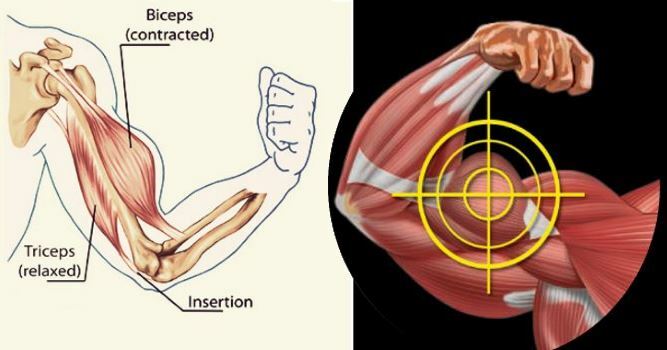 Squeeze the biceps hard at the peak contracted position. Avoid resting between sets to reap max gains. 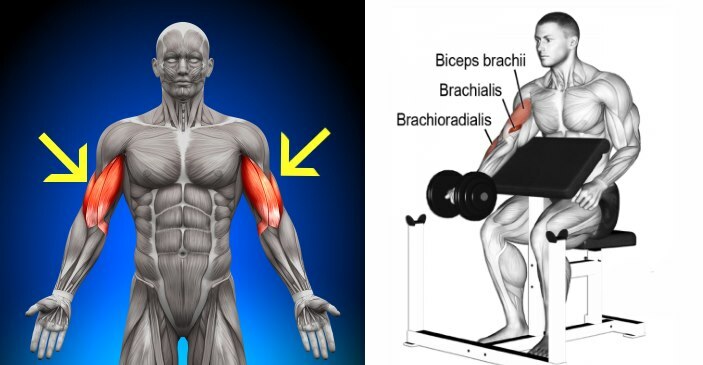 With a semi-supinated position of the hands, you can bring the brachioradialis into the movement and unlock a new level of growth potential. Keeping an eye on your form, perform 12 reps on the first set, followed by 10 on the second, 8 on the third and 8 on the fourth one. Take no rest between sets! The preacher curl is a gym favorite for those looking to shake things up in their current routine, and there’s a good reason for that. 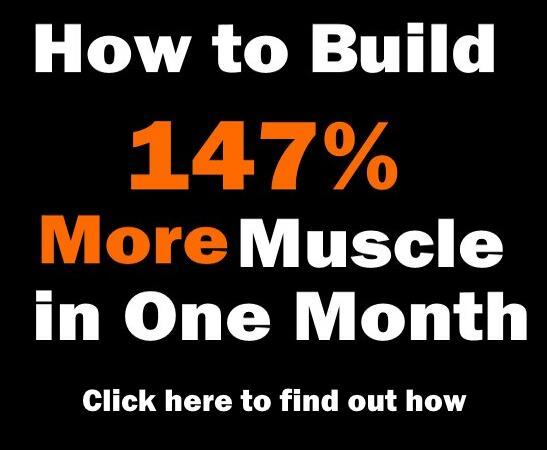 This is a strict move performed with lighter weights that allows you to focus on your form and develop a powerful mind-muscle connection that will upgrade your gains. Make sure to keep your torso straight and stable the entire time and avoid resting between sets to keep the tension high and constant. 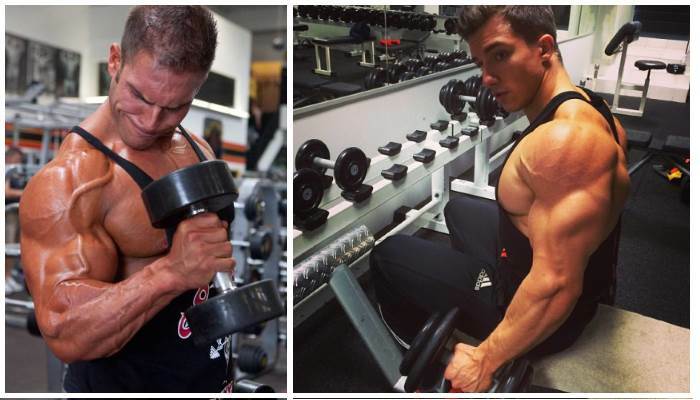 Hammer curls work your arms in a unique way with most emphasis on the biceps brachii and the brachioradialis. 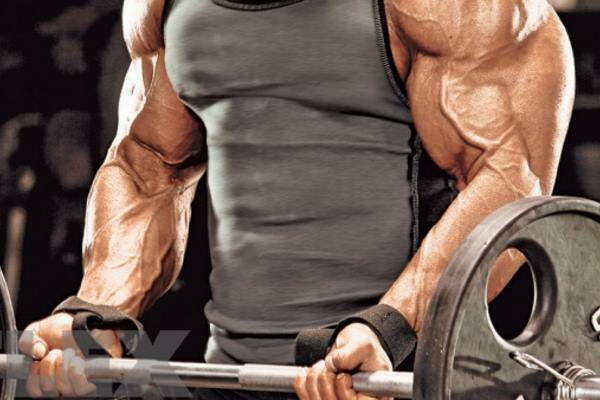 This is a crucial move for adding size and definition to the entire arm complex, so you don’t want to miss out on it. No rest allowed. 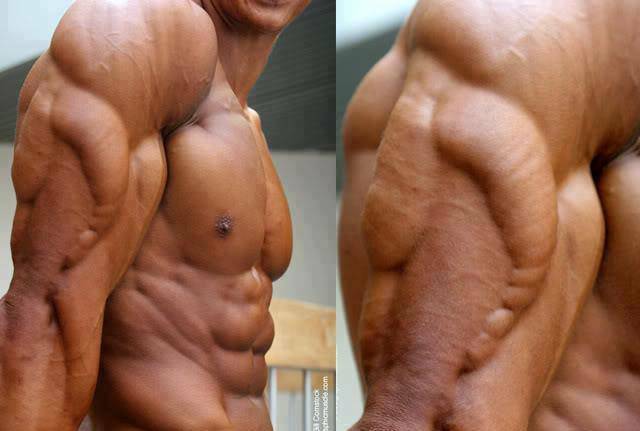 To make sure that you’ve hit all muscle fibers available, finish off with reverse cable curls. Try to bring your elbows slightly together as you perform the curl and let your wrists flex back when you come to the top of the movement. Again, avoid resting between sets. Alternate between these two routines on each training sessions and give them all you’ve got. The key is in keeping the intensity high and maintaining correct form at all times. 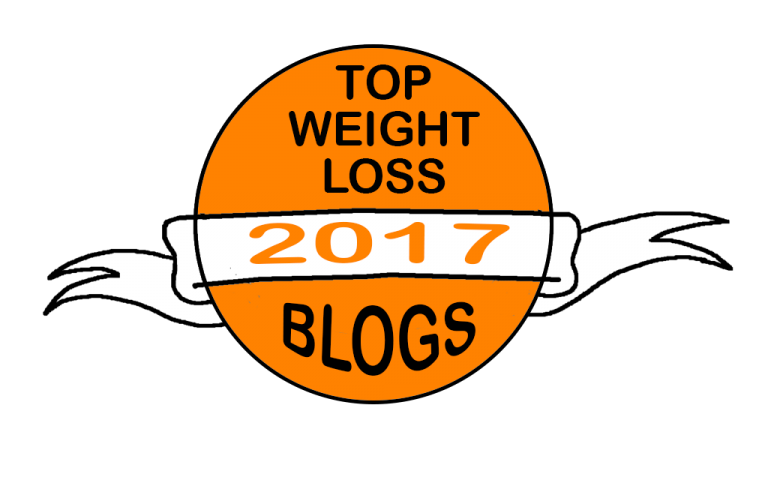 Also, make sure you eat adequate amounts of protein and complex carbs at every meal and keep your post-workout nutrition in check. Don’t forget that you can’t grow if you don’t eat. Needless to mention, if you want solid results you will have to give your body enough time to rest and repair damaged muscle tissue between workouts. You know what to do now, so there are no more excuses for not growing the most impressive biceps you can. Good luck and stay pumped!